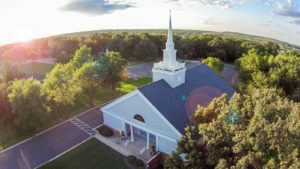 Independent Baptist Church | What Is A Baptist? You are here: Home » What Is A Baptist? There are three basic distinctions of Baptists. Baptists only baptize those who have trusted Christ as their personal Savior. Baptism does not have any “saving power” but it simply and publicly identifies one as a “Believer.” It is similar to how a wedding ring identifies the commitment of those who are married. Baptists believe that churches should be autonomous (“self‑governing”). History has shown that it is better for a church and its leadership to be accountable to the local group of parishioners than to some distant religious organization. Baptists believe that Jesus Christ is the only and eternal Savior for mankind ‑ as the Bible says. The message of Christ in the Scripture is more important than any religious system or dogma.